Mondelēz International is one of the world’s largest snack companies and one of Save the Children’s global partners. Core to Mondelēz International's strategy is the belief that business growth is directly linked to people’s well-being, both individually and globally. Mondelēz International and its Foundation’s partnership with Save the Children focuses on two core areas: 1) instilling lifelong healthy behaviors and the ability to make smart nutritional choices in children and families and 2) empowering cocoa farming communities. The Mondelēz International Foundation invests in innovative community programs to help improve the lives of some of the 2.1 billion overweight and obese people worldwide. Mondelēz International is working with partners, including Save the Children, to address this significant health concern for the next generation through a three-pronged approach: offering nutrition education, promoting active play and providing access to fresh foods. The Mondelēz International Foundation has teamed up with Save the Children to implement such programs in Mexico, India and Australia. In addition, a very successful collaboration between our organizations has recently completed in Italy. Cocoa Life is Mondelēz International’s holistic cocoa program, built on the belief that empowered, thriving communities are an essential foundation for sustainable cocoa farming. In 2015, Mondelēz International expanded its partnership with Save the Children to include a three-year Cocoa Life program in Indonesia. 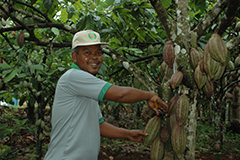 Together, we’re working to help ensure sustainable income for cocoa farmers and to increase community-based development. We anticipate reaching 14,000 farmers (8,000 in Lampung and 6,000 in Soppeng/South Sulawesi), while engaging 6,000 women and 6,000 youth through 2018. Cocoa Life is an integrated approach that addresses five focus areas that are key to ensuring the success and viability of cocoa-farming communities – Farming, Community, Livelihoods, Youth and Environment. The Cocoa Life program also conducts advocacy and mobilizes local government engagement and support. Employee Engagement - Mondelēz International employees support Save the Children both globally and locally. Through the Leadership for Performance initiative, the company’s senior leaders engaged with us to formulate innovative ways to address global challenges. On the local level, Mondelēz International employees in Italy, India and Mexico have contributed to various aspects of our joint projects. They have helped rehabilitate recreational centers, met with children and parents and helped raise community awareness on the issues we are tackling together. Watch the film below which show highlights of how Mondelēz employees have contributed to our programs in Italy. "The Mondelēz International Foundation is proud to partner with Save the Children. 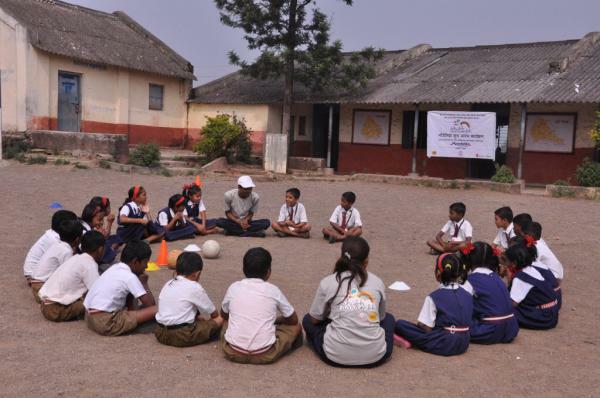 Our well-being programs in Australia, India and Mexico build on our ongoing commitment to community well-being and the fight against childhood obesity. The programs are aligned with United Nations’ Sustainable Development Goals, addressing malnutrition and promoting good health and well-being. We work with Save the Children, local governments, parents and teachers to promote nutrition basics, encourage active lifestyles and expand access to nutritious foods." Visit the the Mondelēz International website.